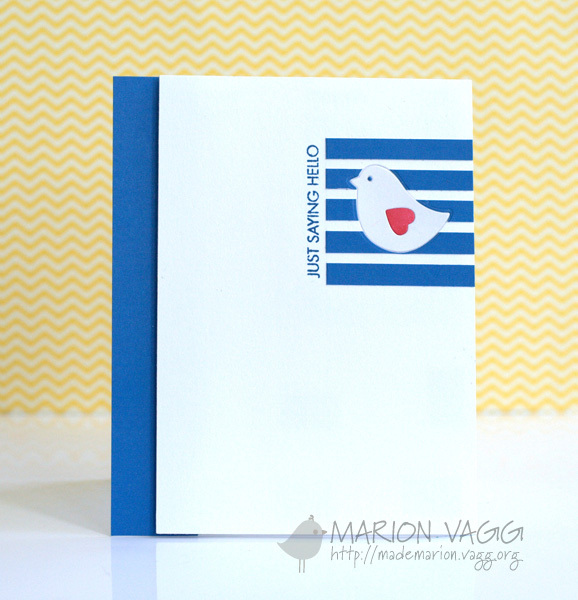 Welcome to another Friday Feature at AnnaBelle Stamps. 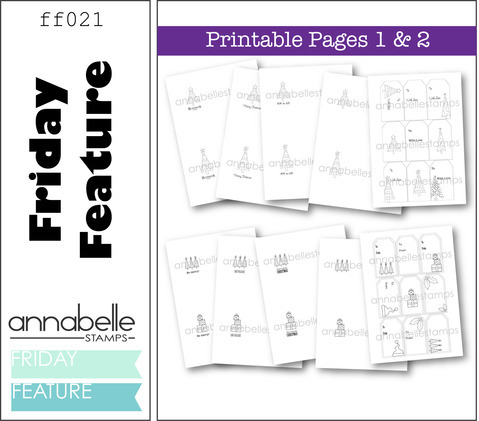 This week the Belles are showcasing the newly released Printable Pages 1 and 2. 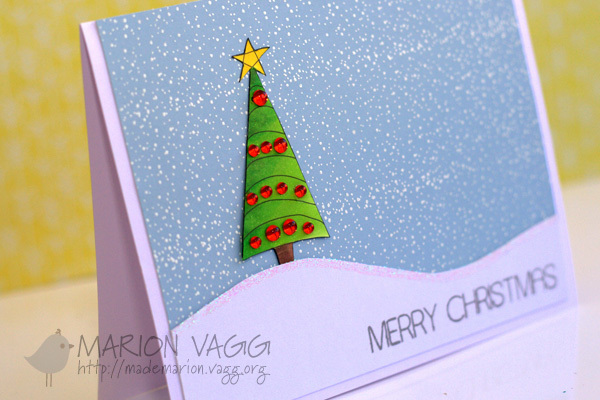 These are so easy….just print and colour! 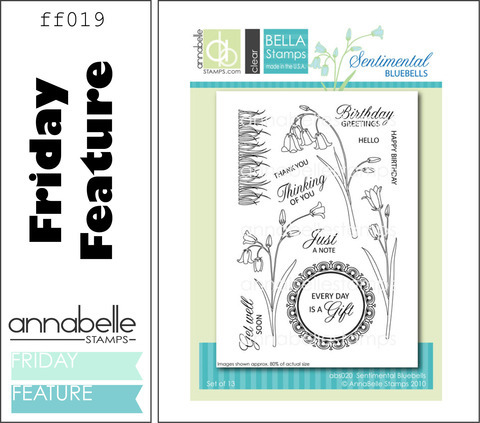 Welcome to another Friday Feature at AnnaBelle Stamps. 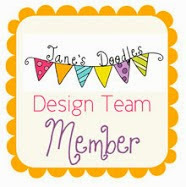 This week Belles are showcasing the new Scribble Scrabble sets – Round and Round and In the Square. You can save 20% off the Friday Feature stamp sets – so what are you waiting for? Head here. I decided to use purple – not a colour I am generally fond of, but it’s good to challenge oneself – right? 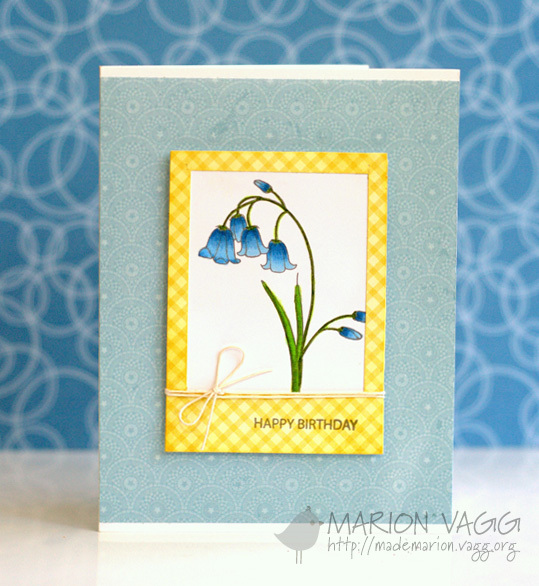 This card was inspired by a new blue and white stripe t-shirt that I bought for my daughter. It goes to show that inspiration can be found anywhere. 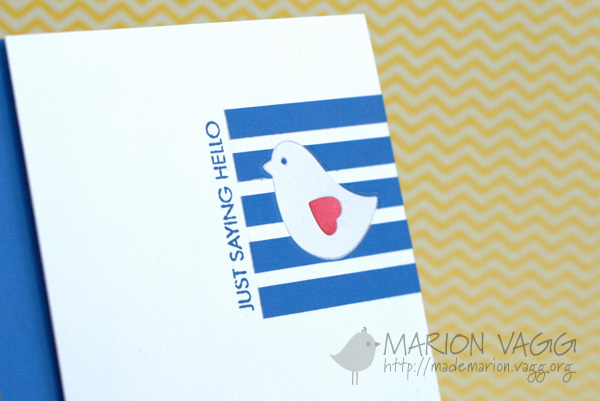 The little bird die cut is nestled in so it has a flush finish. I love doing this. Hope you will be able to find some time to play along. Hello. 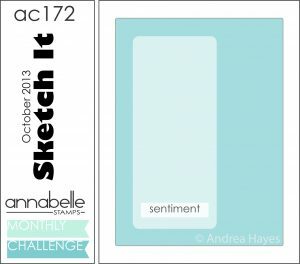 It’s time for another sketch challenge at AnnaBelle Stamps. We have quite a simple sketch this month – so interpret it any way you like. 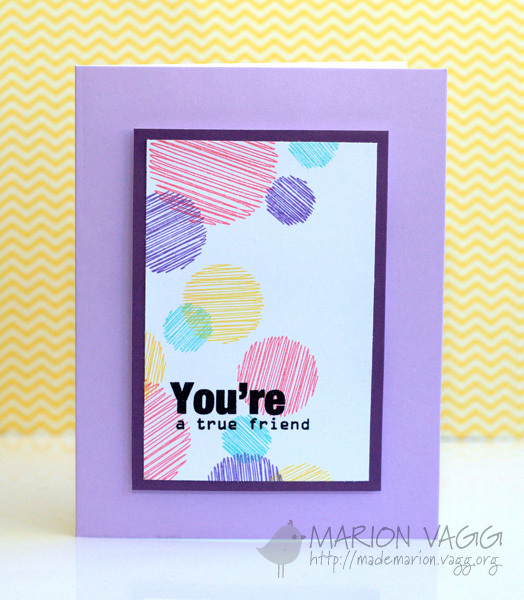 To create the rainbow chevron pattern on the tag, I used an arrow stamp from the Splat Attack stamp set. 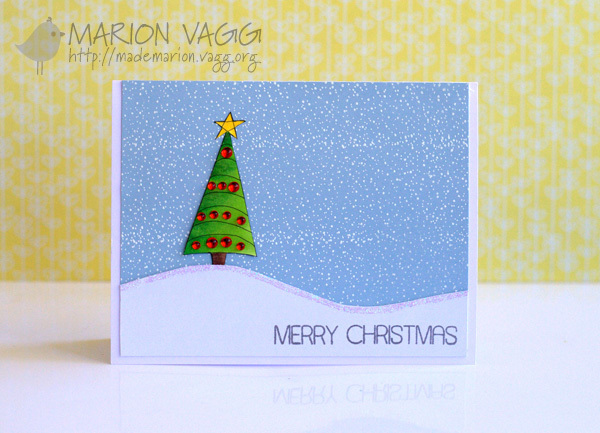 The background cross-hatch stamping on the card is BBD#5 – I just stamped it in both directions. I think I use this stamp somewhere most weeks as I love it! 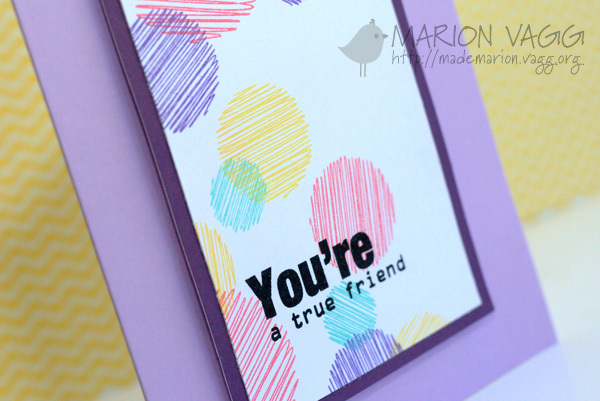 Tone on tone stamping rocks – in my opinion 🙂 The sentiment comes from BBD#8.